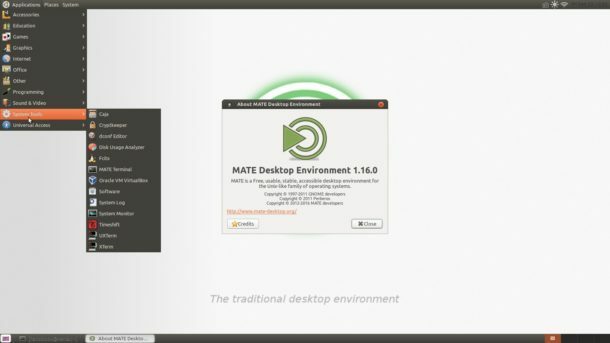 MATE Desktop, the continuation of classic Gnome 2 Desktop environment, has reached the 1.16 release. Here’s how to install it in Ubuntu 16.04 LTS. MATE 1.16 is focused on improving GTK3+ compatibility, migrating components to newer libraries, fixing bugs and code hygiene. Many bug-fixes and translation updates. The PPA also contains MATE 1.16 for Ubuntu 14.04 LTS. 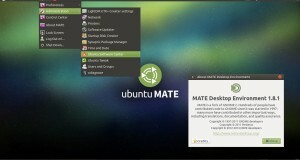 But it requires GTK3>=3.14 for core MATE applications. While Ubuntu 14.04 ships GTK 3.10, you need to Gnome Testing PPA, BUT it’s not recommended for those who need a stable system. Type your password (no visual feedback) when it prompts and hit Enter. And the PPA can be removed via Software & Updates (Other Software tab) utility. How do I get it upraded from 1.14.1 to 1.16 officially? sudo apt full-upgrade doesn’t upgrade it to 1.16. Depending on your system, localization and other libraries it may not work. Also, some people run into dependency problems, like not installing Pluma 1.16, etc. It happened on my system and it was an unworkable situation, had to purge the PPA. While I could have gotten the 1.16 version of the files and compiled and installed them on my own, the point is, it should have come with the desktop environment so I didn’t have to screw with it. Thanks for answering, but I find your reply, missing context.